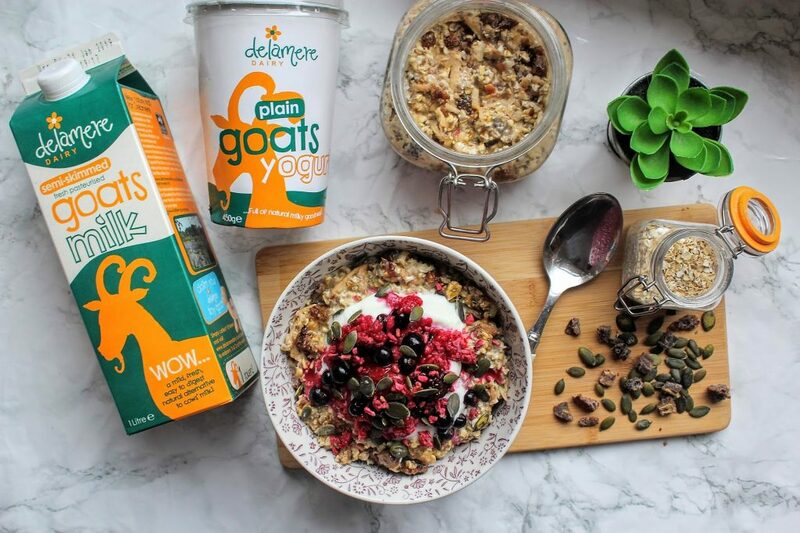 We all know that breakfast is the most important meal of the day – even more so if we’re trying to be that little bit more health conscious in January. There are no excuses to skip it, especially if people think they don’t have time, which is where this recipe comes to the rescue. 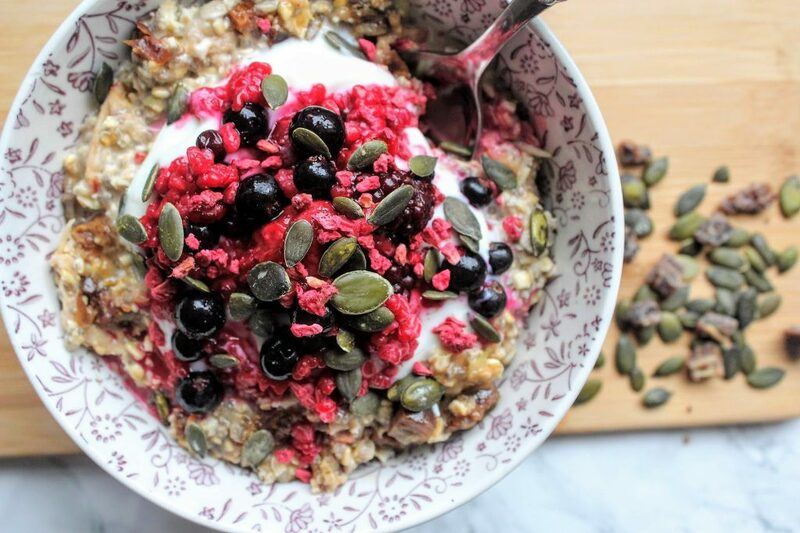 Developed around 1900 by Swiss physician, Maximilian Bircher-Brenner for his patients, bircher muesli is still a popular breakfast option in Germany and Switzerland. 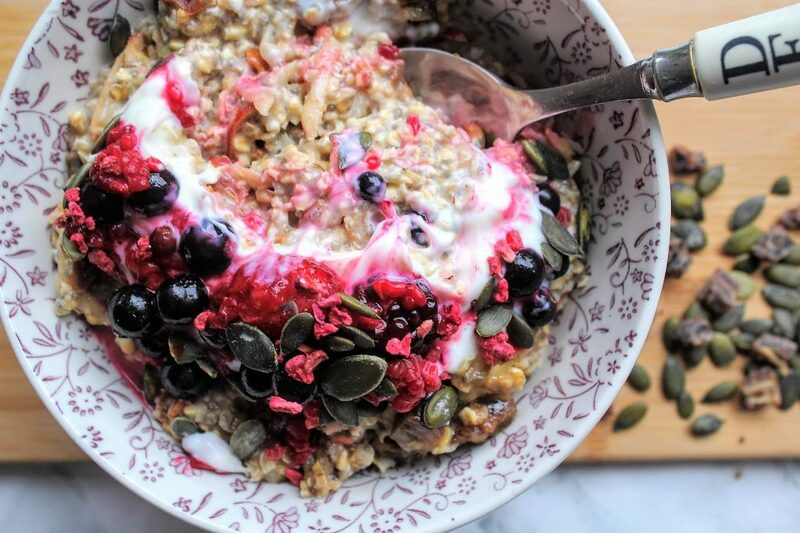 Soaking the oats overnight allows them to soften and soak up the flavour of the milk and juices, while the addition of apple and dried fruit adds extra nutrients and natural energy. 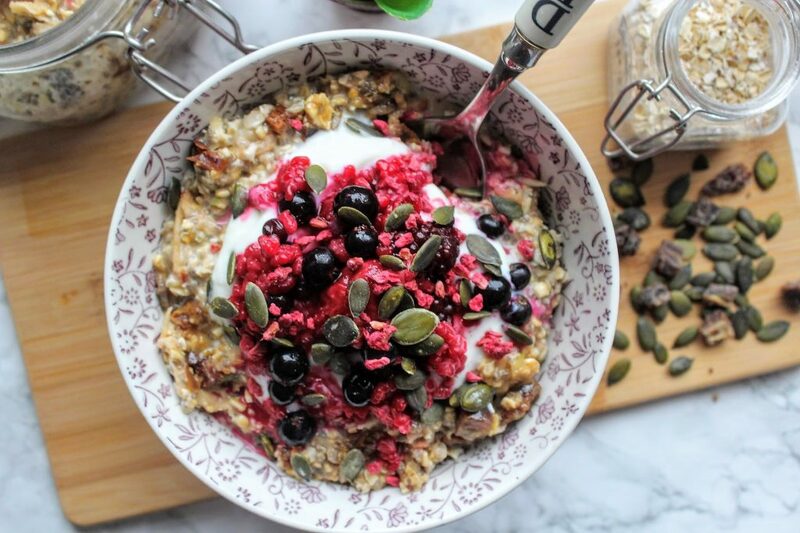 So, if you’re looking for a quick, easy but delicious and healthy recipe to help kickstart the New Year and good intentions, this is one for you! 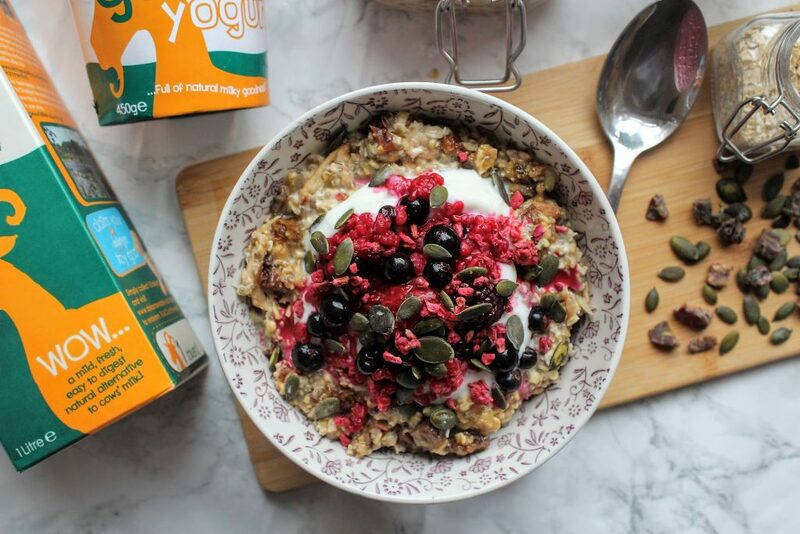 You could swap apple for pear, experiment with different types of oats, use other dried fruit and nuts/seeds… You don’t have to follow the recipe 100% – just have fun with it and use what you are going to enjoy the most! 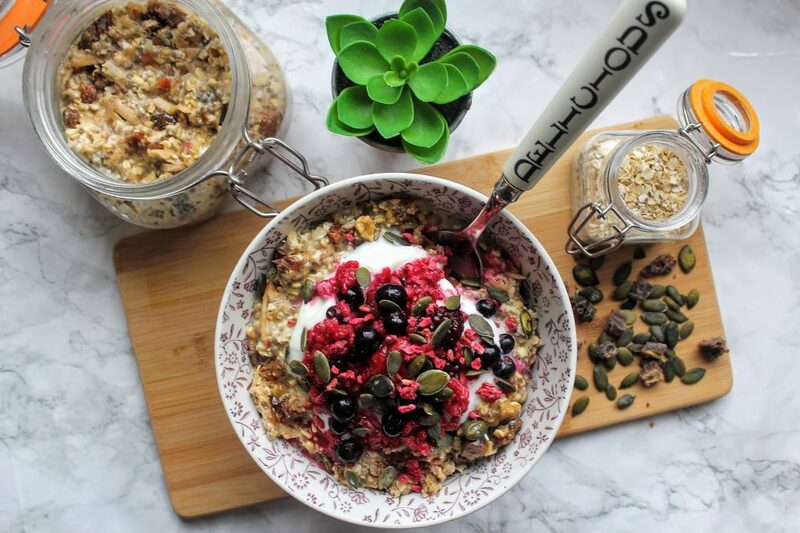 The night before, mix together the oats, chia seeds, cinnamon and dates in a bowl or in kilner jars. Pour in the milk, apple juice, orange juice, maple syrup and grated apple and stir well to make sure everything is combined. Allow to chill in the fridge overnight. 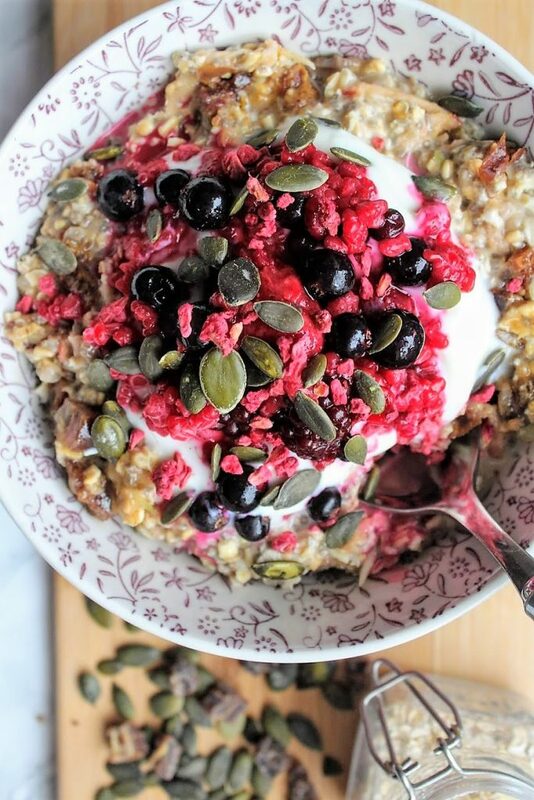 In the morning, serve in bowls with yogurt spooned on top plus berries and seeds. Enjoy!